Any practice would understand that you are likely to encounter a variety of different clients and patients whose needs vary from case to case. So when you select a radiology partner, it’s essential that they offer an array of services to ensure that all your needs can be fulfilled. You should also put your trust into a company that caters to a wide range of practices, such as multi-modality imaging practices, physician groups, and urgent care facilities. This way you can have peace of mind knowing that they have diverse experience and are able to provide you with quality work. Another aspect to look for when you are in the search for a quality radiology partner is having 24-hour, real-time support that you can reach out to when you need it the most. Having IT support is a worthwhile service you should definitely seek in a radiology service provider. To ensure you’re receiving the best, be sure to look for a company that has secured and protected transmissions that are compliant with the current security efforts. 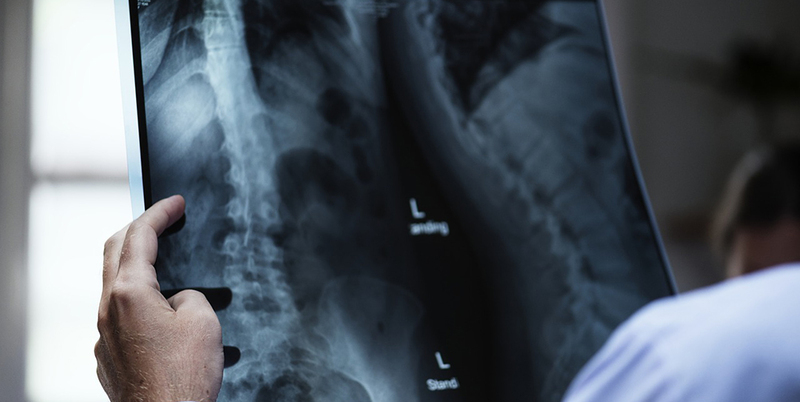 Turning to teleradiology services can reduce your practice’s cost significantly, and the cost saved on staff can be used toward other areas of your business that need it more. Utilizing your radiology partner’s services can also reduce the stress of management by outsourcing these essential aspects to reliable professionals. Just like when you are shopping for anything else, it’s a good idea to check out a teleradiology company’s reviews. Be sure to head over to Facebook, Google, or Yelp to see what customers have had to say for themselves. The site may also have a testimonials page that will feature some of their clients’ very own quotes that can help you get more of an inside view on how they’ve helped businesses like yours. Most importantly, you should partner with radiologists who, at the end of the day, are willing to answer whatever questions you have about your readings as well as their services. This can include anything from protocols to imaging exams to clinical concerns to results, and more. Why Should You Partner with a Teleradiology Professional? We recently wrote a blog post highlighting seven reasons why private practices should invest in partnering with a teleradiology specialist. By using teleradiology, you can fit the service to the specific needs of your facility, scaling it to keep pace with the volume you’re seeing in your healthcare facility’s output. With in-house providers, readings may be delayed in comparison to those of teleradiology services. Specialty Teleradiology ensures quick turnaround times for our partners, delivering reliable results in a timely manner. When your practice chooses Specialty Teleradiology as your radiology partner, you gain access to fellowship-trained, board certified teleradiologists who can consult with you at any time during the reporting process. What Makes Specialty Teleradiology Different from Other Radiology Groups? We are the teleradiologists that provide results you can trust. MRI – Our professional team members have fellowship training in fields like neuroradiology, body imaging, and musculoskeletal imaging. Referring physicians and their patients can have the peace of mind knowing that anyt urgent or unexpected findings will be conveyed immediately. X-ray/Ultrasound – Our radiology and imaging specialists can interpret your X-ray and ultrasounds to help you give proper care to your patients. CT – We know that for most facilities, CT reporting plays a core role for your business’s success. In order for your doctors to provide the most comprehensive care to their patients, our teleradiologists can read CTs to help screen for disease, detect issues, and more. Through all of our services, we are committed to being an extension of your practice and delivering the same standards of excellence you have worked so hard to build. Here at Specialty Teleradiology, we have chosen to use RAMSOFT RIS/PACS as our trusted radiology software and workflow system. It offers an easy-to-use web interface that allows customers to access info anytime, anywhere. Referring physicians are also able to gain access to view their patients images and reports. Each of our clients will have the ability to customize their workflow in RAMSOFT to fit their specific needs. We also offer support for this aspect of our business to ensure that the process is always as smooth as possible. Think that we might be a good fit for your practice? Contact us today to talk to our team to see how we can help your business thrive!